Nothing says opulence quite like the unnecessary use of gold. A gold showerhead flooding streams of San Pellegrino from a gold water tank, 22-inch gold rims on shiny gold Rolls Royce, a bowl of faux gold fruit sitting on a gold coffee table in front of an 82-inch gold cased LED LCD TV….It’s the sort of carry on we expect from Kanye West or the Sultan of Brunei, not from level headed beings who function in the real world, watch the news every once in a while and get the concept of balance. So it’s with some level of trepidation and cynicism that us normal beings view the concept of a 24 carat gold facial. Surely it’s a gimmick? Surely the only benefit we get is a finance induced adrenalin rush? The kind you might get when handed the keys to a newly purchase private jet. Surely we won’t actually walk out of the salon glowing like we’re 3 months pregnant and boasting pores like – wait, what pores? Well surely you will believe us when we crush your misconceptions to smithereens and tell you that the verdict is in: having your face coated in fine paper sheets of perfectly shimmering gold is not only all sorts of decadent, it’s also 110% necessary. It’s the fast track to the face you have always imagined to be buried deep below your weathered, imperfect layers, but never thought you would actually see. Bali often gets a bad wrap in the facial department. Ten points on the massage front, 5 star for their mani pedis, but for anything face related, the general assertion is that the products used are cheap and nasty, the unpurified water does more harm than good, and most of the therapists are not sufficiently trained. Whilst this might be true for many places, there are a few gems that could challenge the world’s finest. Best of all, they offer a full spectrum of procedures for a fraction of the usual price. So how do we decipher the good from the bad? Only go somewhere that someone trustworthy has vouched for. 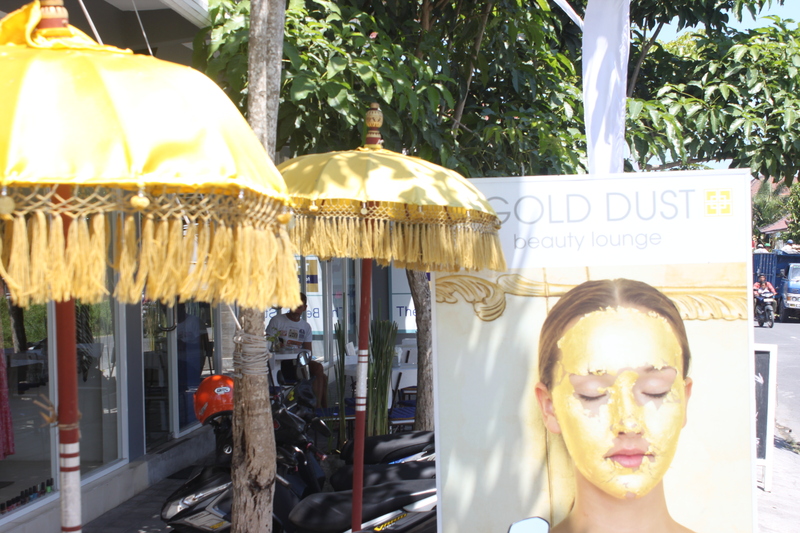 And we – the unquestionably trustworthy team at inBali – can wholeheartedly vouch for Gold Dust Beauty Lounge in Canggu. Opened in August 2013, Gold Dust is ray of sunshine for those seeking a little more than a $5 rubdown from their travel pamperings. In fact, sunshine is more than just whimsical metaphor. 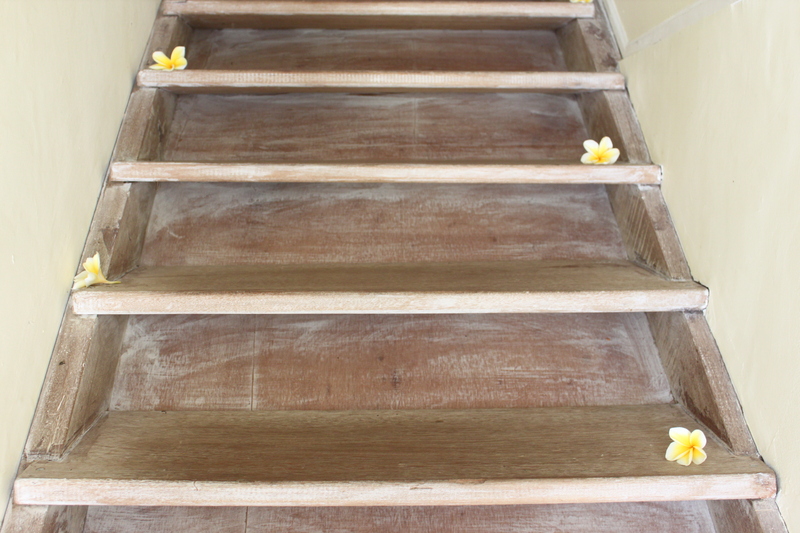 Aside from a rainbow of OPI nail polishes, everything in the salon is a hue of yellow or gold; the pillows, the mirrors, the staff’s uniforms, the nail files, the towels, the flowers at the front door and scattered up the stairs. It literally feels as though you are opening the door to a beauty parlour inside the sun. Like to know how the treatment pans out? Read the full article on inbali.org. Did you actually experience this? and if so was it worth all it says in the article? I sure did, Sharon! I was very sceptical at first but it proved amazing.